A celebration of Kiwi hospitality! This is a collection of 450 photographs of New Zealand’s most interesting ‘welcome signs’ – the signs at the entrance to almost every town, city and village in the country. 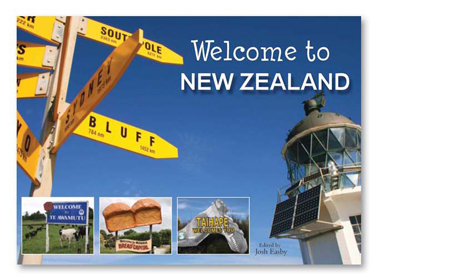 It’s a fascinating alternative to the usual pictorial books of New Zealand, whether you want it as a gift for a visitor or to remind yourself why we’re such a friendly nation. The book has been widely acclaimed, featuring on TV One’s Breakfast (Paul Henry: “It’s brilliant”) and TV3’s Campbell Live. 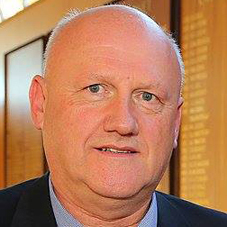 Josh Easby is a writer and publisher who lives in Cambridge, New Zealand. He compiled the collection of images in this book while completing a four-month road trip to every town, city and village in New Zealand. 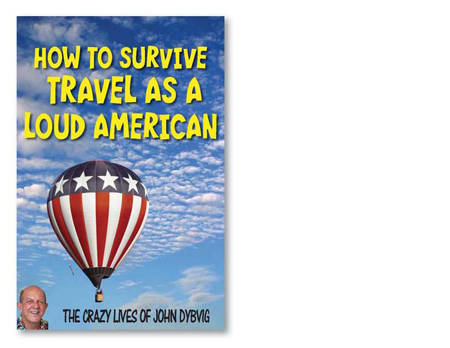 How to Survive Travel as a Loud American is Dybvig’s comical account of his efforts not to fit in while living abroad. 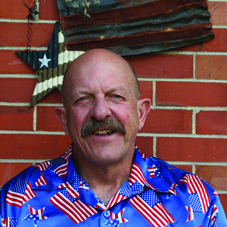 If you ever wondered how the stereotypical loud American traveller came about, you’re about to meet him. Other books in this series are How to Survive as a D-List Celebrity, How to Survive Falling in Love on the 3rd Strike, How to Survive as a Sports Jock with Attitude, How to Survive 103 Jobs and The Mob, How to Survive as a New Dad at Fifty and How to Survive as a Big Actor with Small Parts.